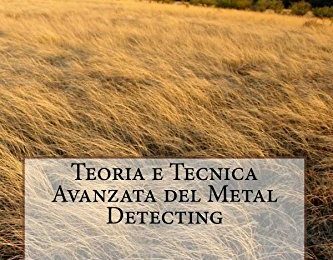 Sono veramente lieto di annunciare ufficialmente, dopo l’anteprima affidata agli amici di MD Club Italia, la seconda edizione del mio libro “Teoria e Tecnica Avanzata del Metal Detecting“. 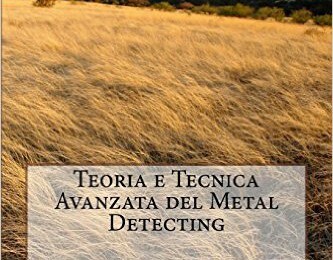 “Teoria e Tecnica Avanzata del Metal Detecting” è ora anche su AMAZON! 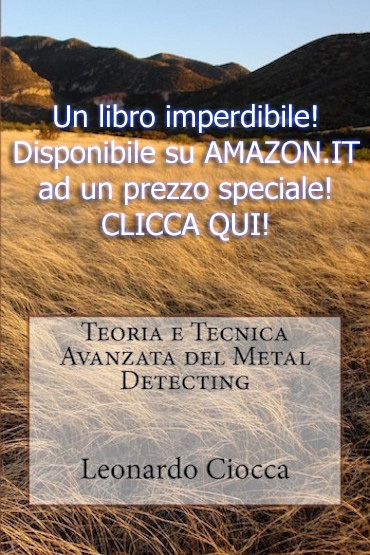 Finalmente il libro “Teoria e Tecnica Avanzata del Metal Detecting“, scritto da Leonardo Ciocca, è disponibile anche su AMAZON.IT e su moltissimi altri siti internazionali AMAZON. Grazie ad AMAZON sarà possibile ricevere il libro in tempi brevissimi (fino addirittura a due soli giorni!) con tutte le garanzie di qualità del colosso editoriale. Il libro resterà comunque disponibile anche sulla piattaforma editoriale LULU.COM. Per chi volesse maggiori informazioni o per acquistare il volume, può cliccare QUI. 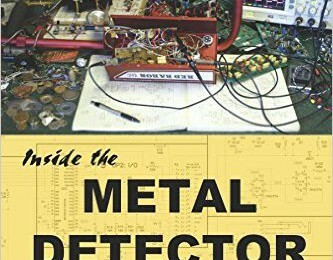 Dopo essere andata esaurita in pochi mesi, è finalmente disponibile la seconda edizione, riveduta e corretta, del manuale di riferimento “INSIDE THE METAL DETECTOR“. Scritto da due dei maggiori esperti del settore, George Overton e Carl Moreland (che ho avuto il piacere di intervistare in esclusiva in occasione della pubblicazione della prima edizione – LINK), il libro è stato ampiamente rivisto e corretto. 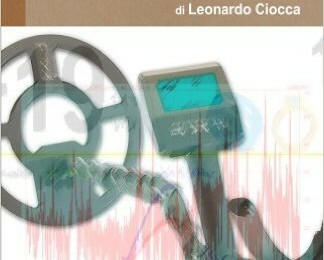 E’ ancora disponibile il volume “Teoria e Tecnica Avanzata del Metal Detecting” di Leonardo “Bodhi3″ Ciocca e, da oggi, ad un prezzo speciale!!!! Un vero libro cartaceo di ben 226 pagine, formato A5, figlio di questo blog, questo volume nasce per fornire, all’appassionato di metal detecting, uno strumento agile e facilmente comprensibile per approfondire le tematiche teoriche e le tecniche più avanzate per ottenere il massimo delle performance dal proprio strumento di ricerca. Before leaving you to the very interesting article written, in cooperation, by Gianni and Sergio, (once again, I’d like to thank them for their precious work), please allow me to add a brief personal note. I would like to give my personal gratitude, and also from the entire AMD Tech Team, to the XP Detectors and its owner and chief designer, Alain Loubet, that I was happy to interview some weeks ago, who kindly sent us two copies of the handbook. 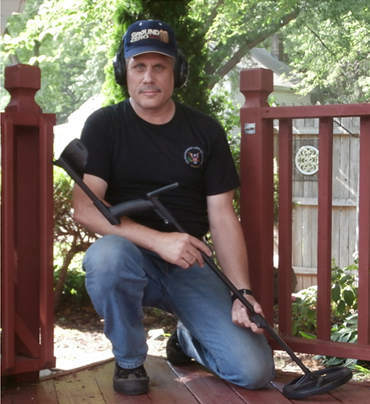 Andy Sabisch is truly a “celebrity” in the international metal detecting scene. With so many years spent on the fields and on the beaches of the entire Planet, gaining an incredible hunting experience and, obviously, quite a lot of buried treasures, Andy is one of the greatest metal detecting experts and, without any doubt, between the best popularizers of this wonderful hobby. I already had the pleasure to read one of his most famous books “The Minelab E-TRAC and Explorer Handbook” where he explained, with simple words, how to get the most out of those two awesome machines. With a simple and plain language Andy is able to introduce complex concepts helping the readers to deeply understand the detectors’ dynamics in order to obtain the best performances for any kind of field of application. After the Minelab machines, Andy “fell in love” with the XP’s jewel: the Deus. With a rigorous detail level, Mr. Sabisch presented us a truly valuable handbook so rich in information, so incredibly useful for the beginners and the experts too. I would like to highlight the manual is very updated too, since it talks about even 3.x software realease features but never forgetting 2.x ones. In short, a very useful book, written in a simple and flowing english that any Deus owner, who wants to push its performance to the limits, should have on his library. The Andy Sabisch’s book arrived in a classic package envelope. As soon I pulled it out, I was surprised by its size: I was expecting a tiny booklet with some “easy tricks from the detecting guru” but I was amazed to have a true 188-pages full-size-full-quality manual. The book is A4 size with a very nice and thick color cover, while inside images and graphs are in B&W. The print quality is superb, the font is perfectly readable and the image quality is really good. In short, even if it’s not printed on the best paper quality and is in B&W, it looks great and it’s very pleasant to read. The book is written in English but it is very easy to understand even for foreign readers with enough technical English language skills. Its structure follows the one of any other Sabisch’s books, following a precise track, allowing the reader to “meet the manufacturers”, i.e. talking about the XP Detectors history, leading him to learn the detector parts, its first use and describing its advanced uses and search techniques. In the first pages, there’s a special memorial dedication to Jogn Burke, a very famous british detectorist died in 2011, very well know as “John Lynn-The Norfolk Wolf” that probably most of your will remember for his website or his famous videotests. In the following pages you will find a complete index and Andy’s personal thanks to several treasure hunters who gave a contribution to the book. So you will easily understand that all these contributions, together with Andy’s experiences, will have a very important and organic function in this rich and well organized book. 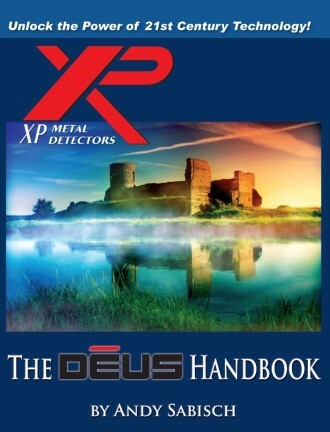 After the first introductory section, you’ll read a technical description of the XP Deus, its technology, the updating features and some very interesting paragraphs about its different operating frequencies put in relation with different targets. Those are basic and fundamental informations to start seriously learning how to use the machine at its best. A complete description of each Deus software menu will follow. An absent-minded reader could think these page are a useless duplicate of the user guide that comes with the machine. Wrong! Each single menu item is extremely detailed and there are tons of intelligent tips. And it’s such a pleasant surprise to notice that the book is so updated, since it also contains the differences between 2.x and 3.x software release. Great job Andy! We’ve really appreciated the section about the most interesting parameters, so difficult do be understood by beginners: Reactivity, Iron Volume, TX Power, Silencer etc.. All that stuff you MUST understand very well in order to push the detector to the limits. A very in-depth analysis of the “hidden menus” is also present (Sergio already published a very interesting article in Italian for our blog… here), with over 5 pages and several images. Then Andy gives us some technical notions about concentric and DD coils, talks about the correct use of the pinpointer and finally bring us to the “Test Garden” and gives us very good informations on discrimination. A very comprehensive space is dedicated to this last issue. Every issue, every parameter that is tied to discrimination is examined to fully explore audio and visual discrimination including Reactivity and Silencer. As you’ve already got, the book follows a very precise organization, trying to unveil all the Deus’ secrets, from ABC to its most advanced features. Andy will go along with you from the beginning, helping you to discover the most proper techniques to have a succesful hunting in a variety of situation: from learning how to set the machine on “trashy” fields to how to recognize a hot rock, a iron object or any other “trash” target. A very wide number of pages are dedicated to discrimination techniques, very useful in place like parks and beaches. In the book you will find several “tuned” programs for coin hunting. Be aware that Andy talks about USA coins, so you may need to tweak them a little to adapt the settings to your Country’s coinage. Andy and his friends also dedicated a lot of time to beach and fresh water hunting, to relics, and gold prospecting too! Each technique will be illustrated with tips, specific settings, technical explanations and every other possible useful information. Obviously we recommend to think to these settings as a “building block” to create your own personal ones that will fit to your needings. The handbook also includes sections about incredible findings, Deus accessories, links and other useful resources. Andy’s book is the ideal complementary manual to the XP user guide; Some times manufacturers’ user guides are not so clear or pleasant to read. This one will give you a great help to understand the XP one too!!! A tip from us… Read Andy’s book several times and you will be aware that those “dark concepts”, slowly and easily, will become clearer and clearer and you will be able to master the detector at its best! In conclusion, we really enjoyed ourself reading this handbook! It was a real pleasure because there’s always something to be learned from other people’s experience. Its a book for everyone, from beginners to experts. Reading will easily flow and will be very fun since Sabisch’s ability to melt his experience to other people’s contribution is legendary. It’s a truly useful help for anyone who wants to learn how to use the machine and it could also be used as a reference guide to refresh some difficult aspects and issues from time to time..
Prima di lasciarvi alla lettura della recensione scritta a quattro mani da Gianni e Sergio, che colgo l’occasione per ringraziare ancora una volta per il pregevole lavoro, permettetemi di aggiungere una breve nota personale. Innanzitutto vorrei ringraziare personalmente e a nome di AMD la XP Detectors e, in special modo, il suo titolare e capo progettista Alain Loubet, che ho avuto il piacere di intervistare tempo fa, che ci ha gentilmente inviato due copie del manuale oggetto della recensione. Andy Sabisch è veramente una delle “celebrità” mondiali del metal detecting. Con decine e decine di anni passati sui campi e sulle spiagge di tutto il Pianeta, accumulando esperienze pratiche e, inevitabilmente, un bel po’ di tesori nascosti, Andy è uno dei maggiori esperti di metal detecting e, senz’altro, fra i migliori divulgatori di questo splendido hobby. Ho avuto già il piacere di leggere un suo libro “The Minelab E-TRAC & Explorer Handbook” dove spiegava con parole semplici come tirare fuori il massimo da queste due eccellenti macchine. Con parole semplici Andy introduce concetti complessi aiutando così il lettore a comprendere a fondo le dinamiche dei detector al fine di ottenere le migliori performance in ogni contesto d’utilizzo. Dopo le macchine Minelab Andy si è “innamorato” del gioiello di casa XP: il Deus. Con cura e dettaglio quasi maniacale, Sabisch ha presentato un manuale davvero pregevole e ricchissimo di informazioni utili sia al principiante che all’utente esperto. Tra l’altro si tratta di un volume molto aggiornato, includendo infatti anche caratteristiche introdotte con la versione 3.0 del software (N.d.R. ora siamo alla 3.2) ma non dimenticando allo stesso tempo le features del 2.X. Insomma, un volume utilissimo, scritto in inglese semplice e scorrevole e che non dovrebbe mancare nella libreria di ogni utente di Deus che desideri spingere al massimo le sue prestazioni. Il libro di Andy Sabisch è arrivato sulla classica busta da pacchi. Appena scartato sono rimasto sorpreso dalle dimensioni: mi aspettavo un libricino con qualche trucco ma sono rimasto piacevolmente sorpreso nel trovarmi di fronte ad un vero e proprio libro composto da 188 pagine. E’ un libro in formato A4 dalla bella e solida copertina in cartoncino plastificato a colori, le immagini e le foto sono in bianco e nero. La stampa non presenta sbavature, il font utilizzato risulta perfettamente leggibile e le immagini riprodotte sono perfette. Insomma è una stampa che, anche se non fatta sulla miglior carta e anche se priva di immagini a colori, risulta comunque piacevole all’occhio e di chiara lettura. Il libro è scritto in Inglese ma il testo è di facile comprensione per chi è abituato a leggere testi tecnici. Insomma non serve essere madrelingua ma basta avere una capacità di lettura in inglese anche a livello scolastico purché tecnico; la struttura ricalca quella di tutti i libri di Sabisch, segue una traccia ben precisa dove il lettore ha modo di conoscere il metal detector a partire dalla casa produttrice, la composizione del metal, il primo avvio e così via fino all’approfondimento delle tecniche di ricerca. 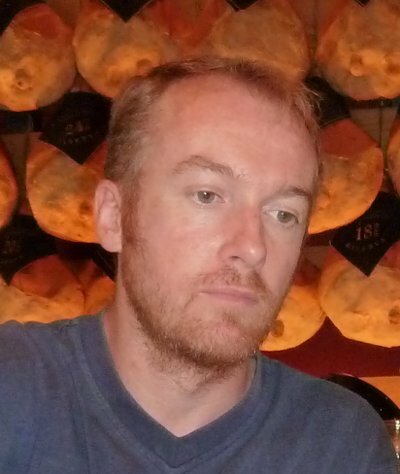 Aperta la copertina si legge una memoria a John Burke, un famoso cercatore inglese morto nel 2011, noto come “John Lynn-The Norfolk Wolf” che forse molti di voi ricordano per averlo visto sul web, per il suo sito o aver letto qualche suo post o test. Seguono l’indice e i ringraziamenti. Da questi ultimi si capisce come questo libro rappresenti una raccolta di esperienze confluite poi, insieme a quelle di Sabisch, in questo libro ben organizzato e ricco di informazioni. Sfogliate le prime pagine si arriva alla descrizione tecnica del XP Deus, la sua tecnologia, le modalità d’aggiornamento ed un interessante articolo sulle frequenze del Deus in relazione ai target cercati. Sono le informazioni di base utili per iniziare la conoscenza con questo strumento. Seguono poi le descrizioni dei singoli menu. Se il lettore sfoglia distrattamente il libro, può pensare che le prime pagine descrivano ciò che già si trova nel manuale ma non è così: le singole voci di menu sono ben dettagliate e contengono anche “tips” utili. Una cosa che si nota fin dalle prime pagine è che il libro è aggiornatissimo e tratta anche le differenze tra le versioni 2.x e le versioni 3.x del firmware del Deus. Questa è stata una bella sorpresa! Molto ben spiegate le sezioni relative ai parametri più interessanti e “ostici” per i novelli utenti dell’XP Deus: reattività, volume del ferro, potenza di trasmissione (TX power), silencer, risposta audio ecc… parametri che è bene conoscere bene per utilizzare questo metal al massimo delle sue possibilità o al meglio possibile in una ricerca specifica. Vengono anche trattate molto approfonditamente le famose “pagine nascoste”, ampiamente descritte da Sergio (vedi articolo qui: LINK), con ben 5 pagine e mezzo complete di immagini. Successivamente vengono trattate delle nozioni tecniche di base sulle piastre DD e concentriche e del uso del pinpointer per poi passare ai test in “Giardino” e la discriminazione. Grande spazio è dato a quest’ultima cosa andando anche a trattare in dettaglio quei parametri che possono influenzare sulla risposta del target…. quindi non solo la risposta audio e quella visuale o la discriminazione in se e per se, ma anche la reattività e il silencer. Come avrete capito, il libro segue un ordine ben specifico, cercando di scoprire tutti i segreti del Deus, dall’ABC ai segreti più “intimi”. Infatti, dopo avervi accompagnato nella conoscenza delle nozioni sopra, vi porta a scoprire le tecniche per cercare nelle situazioni tipiche che potreste incontrare e che vanno dalla ricerca in aree sporche, al riconoscimento delle Hot Rock, del ferro e della “spazzatura” in generale. Ampio spazio viene dato alle tecniche di discriminazione, utili in zone particolarmente sporche come giardini o spiagge. Vengono anche illustrati alcuni programmi ottimizzati per la ricerca di monete. Attenzione!!! stiamo parlando di monete USA e quindi rappresentano solo degli esempi per capirne le tecniche per poi rielaborare programmi specifici più “localizzati”. 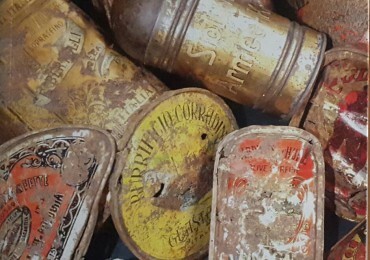 Vengono trattati ampiamente gli argomenti sulle varie ricerche dal mare/lago, al relic fino alla ricerca nei campi e alla prospezione dell’oro nei fiumi. Per ogni tecnica sono presenti trucchi, programmi specifici, spiegazioni tecniche e quant’altro può essere utile. Ovviamente i programmi proposti sono selezionati tra i vari proposti in diversi forum da vari utenti e rappresentano una base da cui partire per ottenere il meglio. Ci sono poi sezioni relative a ritrovamenti fatti col Deus, accessori, risorse ecc..
E’ un testo complementare al manuale di istruzioni del metal detector; i manuali vengono spesso letti con superficialità dalla maggior parte degli utenti per come sono scritti, questo libro aiuta a comprendere anche il manuale stesso, un consiglio, leggetelo più volte e vi accorgerete come certi concetti e informazioni, piano piano, vi verranno facili e vi rimarranno in mente aiutandovi a prendere padronanza del metal detector e del suo uso. Insomma, come avrete capito ci sarebbe da scrivere moltissimo su questo libro! E’ stato un piacere leggerlo perché c’è sempre qualcosa da imparare dalle esperienze altrui. 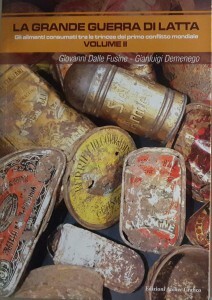 E’ un libro per tutti gli utilizzatori di questo metal, dall’esperto al “novellino”. La lettura scorre via veloce ed è molto piacevole e pur essendo nato dall’esperienza Sabisch ed altri cercatori, quindi un insieme elaborato di più fonti, risulta ben organizzato. Sicuramente è un validissimo aiuto a chi inizia ad usare questo metal ma è anche un interessante libro da consultare quando si hanno dei dubbi circa le impostazioni più particolareggiate. In questi giorni sono venuto a conoscenza della pubblicazione di un manuale dedicato all’XP DEUS scritto da uno dei personaggi del metal detecting più conosciuti al mondo, Andy Sabisch. 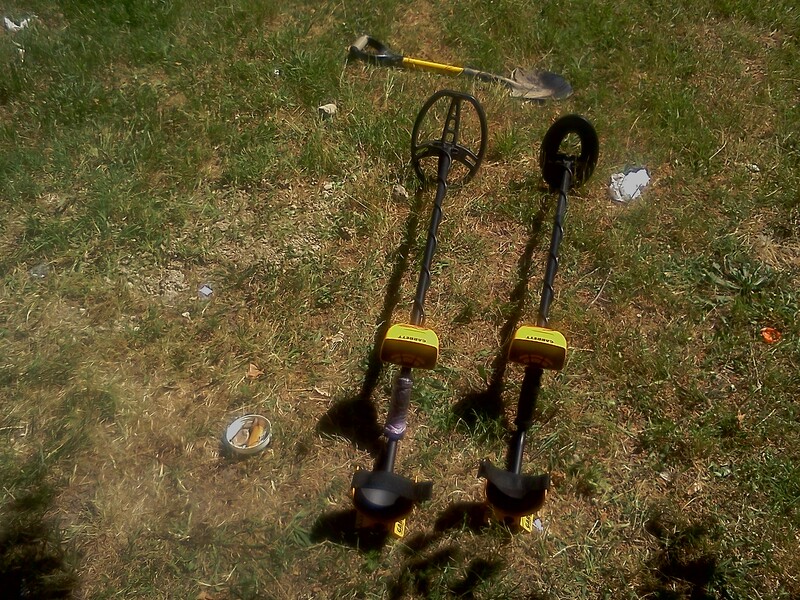 Autore di numerosissimi articoli e di un manuale dedicato ai Minelab Explorer e E-TRAC, consulente professionale e cercatore tra i più rinomati, Andy riesce a parlare di metal detecting in modo semplice, chiaro e con un taglio sempre molto pratico e diretto. Ho deciso quindi di acquisire una copia del suo nuovo lavoro “The DEUS Handbook” che verrà poi recensita dal nostro esperto di XP Sergio/”Xergix” con la collaborazione di Gianni/”Linux-Ubuntu” che possiede ed utilizza con grande soddisfazione anche lui un DEUS. Intervista esclusiva con George Overton e Carl Moreland, co-autori di “Inside the METAL DETECTOR”! Come direttore di AMDTT, sono veramente lieto ed orgoglioso di aver avuto l’opportunità di poter intervistare George Overton e Carl Moreland, autori del libro “Inside the METAL DETECTOR”, pubblicato dalla Geotech Press da pochi giorni e che, senza dubbio, rappresenta ad oggi il miglior testo tecnico di riferimento per chi si interessa alla auto-costruzione di metal detector o per coloro che siano interessati ad approfondire le basi tecnico-teoriche del funzionamento dei modelli basati su tecnologia BFO (Beat Frequency Oscillator), TR (Transmit-Receive), VLF/IB (Very Low Frequency/Induction Balance) e PI (Pulse Induction). Il testo, di circa 300 pagine, rilegato in brossura, è ricchissimo di informazioni dettagliate, schemi, spiegazioni tecniche utilissime per coloro che desiderassero cimentarsi con la costruzione di detector dalle prestazioni paragonabili a quelle di modelli commerciali. Nel sito Geotech sono addirittura disponibili i file Gerber per la realizzazione dei PCB e alcuni errata corrige che gli autori, con grande correttezza, hanno voluto comunicare ai lettori. Al momento è disponibile solo in lingua inglese ma non si esclude, in futuro, la traduzione in altre lingue. 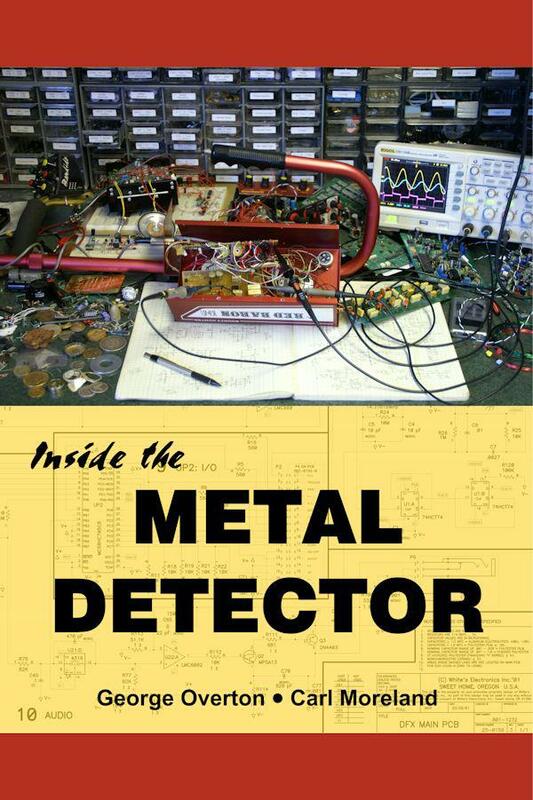 Ho acquistato il libro di George Overton e Carl Moreland, dal titolo “Inside the Metal Detector“. Si tratta di un volume tecnico-divulgativo IN LINGUA INGLESE che sarà sicuramente il nuovo riferimento per gli appassionati di teoria e tecnica del detecting. Ricchissimo di informazioni tecniche, schemi e grafici, rappresenta un manuale assolutamente unico nel suo genere! E’ ancora disponibile il volume “Teoria e Tecnica Avanzata del Metal Detecting” di Leonardo “Bodhi3” Ciocca e ad un prezzo speciale! Un vero libro cartaceo di ben 226 pagine, formato A5, figlio di questo blog, questo volume nasce per fornire, all’appassionato di metal detecting, uno strumento agile e facilmente comprensibile per approfondire le tematiche teoriche e le tecniche più avanzate per ottenere il massimo delle performance dal proprio strumento di ricerca. Con un occhio di riguardo verso il modelli White’s DFX, XLT e Spectra V3/V3i, il manuale sarà utile anche ai possessori di metal detector differenti dato che gli argomenti trattati sono spesso universali ed adattabili anche ad altre marche e modelli. 51 – REAL SEARCH: Il mio primo anello d’oro!!! 64 – DFX-XLT: Modifichiamo un PARK PROGRAM! BOOK: Prime recensioni ufficiali e commenti sul mio libro! Con mio infinito piacere riporto qui le prime recensioni ufficiali del mio libro! 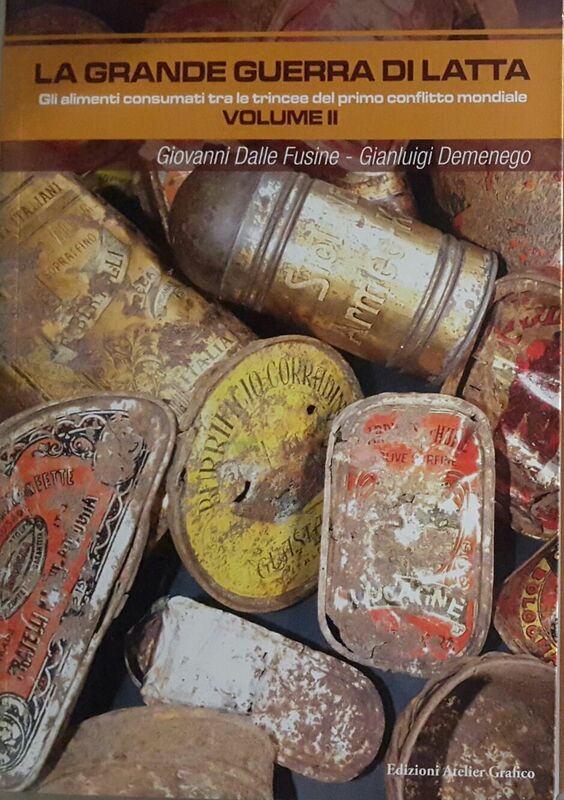 Effettuate da Chrisp75 e SuperGigi73, tra i primi acquirenti del mio libro, sono state postate nel forum METALDETECTORPERTUTTI. 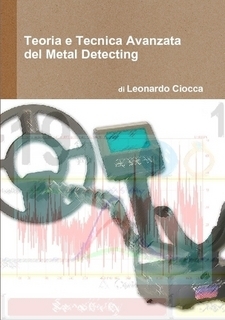 “Mi lascio andare ad una prima e breve “recensione a caldo” del libro “Teoria e Tecnica Avanzata del Metal Detecting” del neo scrittore Leonardo “Bodhi3” Ciocca. Premetto che avevo già “spulciato” molti argomenti ed articoli sul blog da cui questo libro ne deriva. Trovo il libro estremamente scorrevole nella lettura e gli articoli sono scritti in un linguaggio “tecnico” ma semplice allo stesso tempo e risultano, quindi, di facile interpretazione anche per i meno esperti. Gli argomenti trattati spaziano dalla teoria del funzionamento di un metal detector (impostazioni, discriminazione, influenza del terreno di ricerca, ecc.) alla pratica, con esempi “applicabili” e “testabili” da subito. Inizialmente consiglio, soprattutto per i principianti (lo sono anch’io ), di leggersi il libro “tutto di un fiato”. Potreste rimanere leggermente confusi dagli argomenti che ancora non masticate ma è solo una prima lettura per avere “un’infarinatura” generale sul Metal Detecting. Successivamente potrete approfondire i vari argomenti saltando da una pagina all’altra. I più esperti potranno, invece, affrontare gli argomenti come meglio credono secondo i propri gusti o le necessità del momento. Nel mio caso, ad esempio, “salto” da un argomento all’altro (non perchè sia esperto ma perchè, bene o male, ho già letto quasi tutto sul blog) cercando di approfondire quegli articoli che, in quel momento, possono aiutarmi a comprendere un settaggio particolare o a risolvere un problema riscontrato. Una particolarità del libro è che può essere usato sia come “testo di base” per conoscere quest’hobby che come “manuale” da consultare ad ogni dubbio o problema. Ogni articolo sembra strutturato in maniera molto razionale: si parte da un problema, lo stesso viene analizzato e spiegato “scientificamente”, per arrivare poi ad una possibile soluzione o “escamotage”. Ad esempio io mi sono da poco cimentato con dei problemi dovuti a lattine schiacciate che “suonano” benissimo e, guarda caso, … Leonardo ci spiega il perchè e cosa fare in questi casi. In conclusione devo dire che è un libro che assolutamente non deve mancare a tutti i possessori di metal e soprattutto (ma non solo, visto i numerosi articoli teorici!!!) ai possessori di White’s ed in particolar modo XLT,DFX e V3!!! (Secondo me dovrebbero darlo insieme alla vendita di questi metal!!!). Vado avanti con la consultazione del mio Manuale!!!! 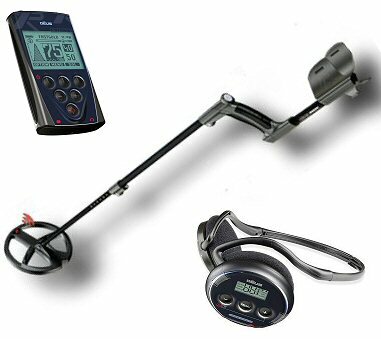 Il volume, adattamento del mio blog, è destinato a tutti gli appassionati di metal detecting che vogliano approfondire le loro conoscenze teoriche e tecniche per un migliore funzionamento dei loro amati strumenti di ricerca. Con un occhio di riguardo verso il modelli White’s DFX, XLT e Spectra V3, il manuale sarà però utile anche ai possessori di metal differenti dato che gli argomenti trattati sono spesso universali ed adattabili anche ad altre marche. Fa piacere ricordare che il libro è il frutto delle discussioni di questo e di altri noti forum e che molti degli utenti con cui ho interagito sono citati nelle pagine del volume. Grazie Ragazzi! Attualmente conta circa 226 pagine, formato A5 (cm 21×15), con foto e grafici in bianco e nero, rilegatura termica e copertina morbida. Sarà acquistabile solo su Internet ad un prezzo contenuto che è ancora in via di definizione. Stasera spero di pubblicare anche l’indice completo…. Il libro è l’edizione riveduta e corretta dei contenuti del blog. Gli articoli sono stati rieditati uno per uno, corretti e integrati, riadattati al formato A5, reimpaginati, ho aggiunto foto e grafici e, insomma… mi sono fatto un discreto “mazzo” per rendere il tutto più ordinato, completo, comprensibile e divertente da leggere. Ho voluto poi realizzarlo su carta per poter essere portato ovunque (anche sotto l’ombrellone!) senza necessità di dover accendere il PC o di avere tanti fogli sparsi. So che tanti utenti hanno fatto dei fantastici “copia e incolla” del mio blog, mi pare normale e, tutto sommato, non mi da neanche troppo fastidio, d’altronde se pubblico il libro è sostanzialmente per una soddisfazione personale e per condividere questo lavoro con i tanti amici dei forum (quasi tutti puntualmente citati nella dedica iniziale e nelle pagine del volume) e non per lucrarci sopra. Spero che anche tu che stai leggendo queste righe vorrai possedere una copia cartacea del volume (credimi, se deciderai di non acquistarlo non ci sono problemi! ) anche solo per poter dire: IO C’ERO!!!! E il blog? Che fine farà? Bhè, gli articoli che compongono questo libro sono, per ora, momentaneamente inaccessibili (non credo che sia una cosa tanto strana, no?). In futuro qualcuno probabilmente verrà riattivato e di sicuro il blog ospiterà i nuovi articoli. Nel prossimo futuro poi è in progetto una “Guida al Metal Detecting per Principianti Illuminati”… Una sorta di “Zen e l’Arte della Prospezione” dove i novizi potranno apprendere le basi di questo affascinante hobby, spero, in maniera divertente e approfondita. Nel frattempo Vi ringrazio tutti per la preziosissima collaborazione e per i bellissimi attestati di stima e simpatia che ho immeritatamente ricevuto dai miei tanti “nuovi amici di ricerca”.